Although the era we enter into as seniors is dubbed the “golden years,” this time is not always so golden. Aging brings aches and pains, loss of loved ones, and the fear of losing our independence. Because of arthritis or other conditions, many older ones are no longer able to partake in activities they once enjoyed, such as gardening or golfing. Loss of vision may mean they can no longer drive by themselves or cook their own meals. Rather than recognizing these limitations as just an inevitable part of aging, many seniors begin to feel weak and helpless. Asking for help does not come easily to them, and even when help is offered they may be hesitant to accept it. Some seniors suffer in silence, even though friends and family are more than willing to lend a helping hand. What can you do to help such ones overcome their reluctance to accept help? Watching your loved ones struggle is frustrating. You know – and they know – that they need assistance, but getting them to accept help is easier said than done. One reason some elderly persons resist help is because they fear it will make them a burden to their loved ones. Working with a compassionate caregiver who understands the complexities of aging can help ease this fear. A dependable home care system or home care software gives caregivers the details they need to provide quality care to each senior client. By reviewing the care plan in their home care software, caregivers will know exactly what activities their clients need assistance with, their preferences, and how best to handle any sensitive issues with delicacy. An innovative home care system like ClearCare Online matches appropriate caregivers to clients based on a select set of criteria. This ensures that each senior will be assigned just the right care provider. When seniors have a caregiver they trust and respect, it makes the transition to home care go much more smoothly. 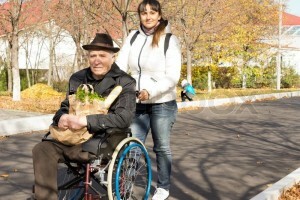 In what other ways can you help your older loved ones accept help when needed? ClearCare Online’s home care system and home care software features a sophisticated messaging system to encourage regular communication between the care team and family members. Keeping everyone in the loop will make it easy to resolve any concerns before they become full-blown problems. What other benefits of ClearCare Online’s home care system and home care software would you like to hear about? Call 1-800-449-0645 today and ask!